This article was originally published in November 2013, but contains seasonally relevant information. In other words – It is time to treat your bees for varroa mites. “You need to be doing something proactive to deal with mites whether you treat or not.” (paraphrased) Kaymon Reynolds – treatment free beekeeper for 10 years. Life Cycle of Varroa Mites – Thanks to Tony Linka for permission to use this excellent illustration. This post is intended to present the available options for varroa mite management in as factual and unvarnished form as is possible – and is not intended as an endorsement of any particular technique. This information is only intended to inform. Any apparent bias or spin is unintentional – but probably inevitable what with me being human and all. I highly recommend that you educate yourself on whatever path you choose to take – and don’t be too quick to completely believe anything you hear from any one source. Varroa infestation is a major factor in many hive failures. Hives which seem to have failed from queenlessness, wax moths, hive beetles, robbing, absconding, or even starvation may actually have mites as a root cause of their eventual demise. Beekeepers often do not detect mites or spot symptoms of Parasitic Mite Syndrome until it is extremely advanced. Varroa mites vector viral diseases while also sapping the strength of the parasitized individual bees – resulting in “sick hives” which fail to thrive and often eventually collapse. Collapsing hives are usually robbed out which can spread both mites and associated diseases to the robbing colonies. Queens are not immune to these viral diseases – non-lethal viral infections of queens can be a cause of poor brood production and supersedure – either of which may result in colony failure. Ignoring the varroa mite problem and failing to manage it in some way will almost always result in catastrophic colony loss. Treatment Free beekeeping and just hoping for the best while doing nothing are NOT the same things. Queens are not immune to varroa infestation and the diseases that mites carry. If you are going to treat for varroa mites timing is important. You should not treat when honey supers are on hives – April-July. Some treatments are actually approved for use when supers are on, but in order to preserve the public faith in our product, it is important that beekeepers avoid the very appearance of evil. Don’t treat or feed your hives when honey supers are on. It is important that mite populations be low before and during the fall brood build up – September – Mid November. Without management, this is when mite levels usually peak. Hives which have large mite loads going into winter are likely to fail before spring. TN State Apiary experts recommend a late winter / early spring treatment – Late Feb – Early March. It is often recommended by treatment manufacturers that only strong hives be treated (some treatments can be stressful) so it is important to treat before hive health is in decline. Hives are generally broodless during Late November – Early December. Treating during this period will be maximally effective. If you wait until symptoms of varroa infestation become apparent colony health will already be compromised. Effective treatments which are properly applied during the correct times and conditions will greatly improve colony survival and performance. Improperly applied treatments performed at the wrong time on weakened colonies may be worse than doing nothing. In summary, the key times to treat are: July/August before the fall brood build up starts. November/December during the broodless period before winter. February/March before the honey season starts. Is your skin crawling yet? People often refer to synthetic miticides as “Hard” chemicals and naturally occurring ones as “Soft.” In some ways, this characterization is the opposite of the truth. During the treatment period ,synthetic treatments are often less likely to cause bee mortality or queen loss. Care must be taken with some so-called “Soft” treatments to prevent killing bees or causing hives to abscond. Some of the “Soft” treatments are extremely temperature dependent – too cool and it doesn’t work, too warm and it kills bees. The effective synthetics are able to kill a high percentage of mites in the hive because they are time released or remain effective long enough to kill mites which are inside of capped brood at the initial treatment time. Naturally occurring treatments do not all have this advantage – some require repeated applications at specific time periods to be effective. Any treatment is most effective if used when hives are broodless. Synthetics may leave long-lasting / permanent residues in the hive – especially in wax. These residues seem to cause fertility problems for both queens and drones, and detractors speculate that they may be factors in long-term hive health problems. ** Naturally occurring miticides such as formic acid or thymol do not leave long-lasting residues in hives – but if not carefully applied they can kill bees during treatment. Mites have developed a resistance to some synthetics which has made them ineffective in most cases – Apistan for example – but because they have fallen out of favor and are used much less frequently now, there are some reports that low and behold they sometimes work well for occasional use. They are however still implicated in health compromising long lasting hive residues. No matter which treatments you decide to use to prevent mites from developing resistance it is probably best if you don’t get in the habit of always using the same one all the time. Apistan/fluvalinate – Mites have developed a resistance to this treatment in many areas – but it may be effective for limited use because it has widely fallen out of favor. Checkmite/coumaphos – Mites have developed a resistance to this treatment in many areas – but it may be effective for limited use because it has widely fallen out of favor. Hop Guard – Not approved in TN. Oxalic Acid – oxalic acid has now been approved by the EPA for treating honey bees. At this time the only EPA source of Bee-approved oxalic acid is Brushy mountain bee farm. Essential Oils – EO of Thyme and EO of Spearmint are known to be effective as miticides – appropriate dosages and methods of application have been widely experimented with by beekeepers but are difficult to specify. Several commercial products such as Honey-bee-healthy and Mann Lake Pro Health contain these ingredients, but because of EPA guidelines can not be labeled or specifically recommended for varroa management. ******Drenching with Honey-bee-healthy as per label directions is probably the varroa treatment method that the researchers would like to recommend if they could. ****** Oxalic Acid – Oxalic acid is a naturally occurring organic acid which quickly breaks down and leaves no residue in hives. OA is a widely used government approved mite treatment in the rest of the world, and now in the U.S. OA is safe, effective, cheap and not temperature dependant. OA causes little if any bee / brood mortality. OA does not kill mites inside of capped brood if dribbled or vaporized, so it is most effective when used on broodless hives. Research is now being done by Randy Oliver and others to develop an effective time release method that will be more effective on hives with brood. Since OA is widely used abroad dosages and application methods are well established. Pennies per treatment. “Treatment Free” beekeeping is an often misunderstood and controversial subject on the Internet. Treatment free beekeeping apparently IS possible. More beekeepers report successfully practicing treatment free beekeeping every year. Essential oils and powdered sugar dusting are mite treatments – if you use these then you are not treatment free. The essence of the treatment free philosophy is to not treat, let the hives which can’t hack it die, and then make increase from the remaining “Survivor” bees – the so-called Bond method. In practice, it is much harder than it sounds, and many beginners who take this overly simplistic approach fail utterly and lose interest in beekeeping. Successful treatment free beekeeping requires bees which have the ability to survive to begin with. There is apparently no reliable source of such bees. You can get bees which are more resistant than others (****USDA VSH or Minnesota Hygenic queens for example) but based upon my personal experience it is quite difficult to just buy “Survivor” bees. However, BeeWeaver Apiaries in Texas have been producing treatment free queens, bees and honey for more than 10 years now. 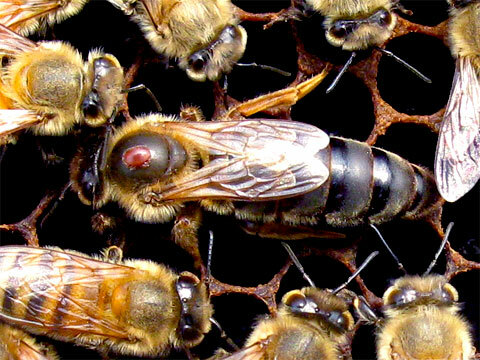 There are mixed reports from consumers – including some reports of aggressive bees – but that is typical for any queen producer, and apparently BeeWeaver will replace aggressive queens. So, while this is not an endorsement they might be worth checking out if you are interested in going treatment free. Making increase is probably an absolutely essential part of treatment free beekeeping. If you want to try treatment free you should probably prepare for high colony losses – 50% or more in some cases. Hopefully less, but don’t fail to plan. You can probably not reasonably expect to be successful with very few colonies – larger numbers give more fault tolerance and a better gene pool. Treatment free does not mean doing nothing – if anything treatment free beekeepers need to be more competent and diligent beekeepers to meet the challenges. There does not seem to be a very large number of treatment free beekeepers who are able to report success beyond being able to keep their bees alive from year to year. This statement is not based on any kind of scientific data collection, but rather from an informal Q+A thread on beesource forum. It is possible (and likely in my opinion) that some locations may not be conducive to treatment free beekeeping. Or at least that some areas may be much better than others. Randy Oliver on varroa resistant bees. * Outlaw Treatments – The use of any EPA-regulated insecticide in a manner or form other than that which is approved “and specified on label” by the EPA is a violation of federal law. For example in the past commercial apiaries have been (heavily) fined for using paper towels soaked with Mavrik (fluvalinate which is labeled for use as an outdoor pesticide) as a mite treatment. Even though fluvalinate is EPA approved for apiary use in the much more expensive form of Apistan (no longer effective on Varroa mites BTW) the off-label apiary use of the same chemical when packaged as Mavrik is a violation. Non-regulated substances such as essential oils, powdered sugar, either fall through one loophole or another or exist in something of a gray area depending on how you describe their use. ** The makers of Apivar (amitraz) claim that their product “Leaves no significant residues in hive honey or wax.” And that mites are showing no signs of resistance after 15 years of field use. The source should be taken into account when considering these claims. *** When stinky treatments like formic acid or thymol are applied the bees will start fanning to ventilate the hive. Weak hives may not have enough bees to do the job and may abscond or suffer losses. Generally, these treatments are not recommended for weak hives. **** VSH, and other breeds with hygienic behavior are not the elusive “Survivor Bees” that you might hear being mentioned – Because these traits are quickly watered down in open mating environments. The true “survivor bees” apparently breed true enough for the trait to accumulate in the local gene pool to a useful degree during open mating. Nonetheless, VSH is a good place to start until you can acquire some of the magic bees. Healthy hives are more resistant to mites and disease and more resilient when they are effected, so strive to maintain good practices. Do your inspections – until you have a good bit of experience the only way to tell what your hives need is to inspect at least every 2 weeks during the season. If you can not make time for this during your first few years you might want to reconsider your choice of hobbies. Prevent Queenlessness – this is probably the number one cause of hive loss. If you don’t inspect at least every 2 weeks you often won’t have time to correct queenlessness before it is too late. Don’t let your bees go hungry – bees which are suffering from malnutrition will never be healthy. Any time that hives do not contain Plenty of both capped honey and open nectar they should be fed. Ideally, hives would never run short of natural food, but we do not live in an ideal region for that – most years here in mid-TN bees need to be fed. Prevent robbing – Robbing cause’s malnutrition, stress, and queenlessness. I highly recommend the use of robber screens. Extra colonies – One hive is absolutely not sustainable – two is marginal – four or five (including nucs) is probably the minimal number of hives for a reasonably sustainable apiary. Besides, nucleus colonies are a lot more fun than big honkin’ honey hives – everyone should keep a few nucs. Having extra colonies will allow you to be more objective when deciding between cutting your losses and trying to save a failing hive. Split and make increase every spring – Combine in the fall – It will make you a better beekeeper and will give you the resources that you need to recover from setbacks, and to improve your stocks. Always keep some empty extra equipment on hand – assembled and ready to use – nucs, frames with foundation, supers, robber screens etc. Be Prepared – procure supplies such as feed, medication, equipment before you need it. ****** Oxalic acid along with some essential oils exist in something of a limbo regarding EPA enforcement – they may be (and probably are) technically not legal to use, but for some reason the EPA does not seem to be interested in enforcing a broad moratorium on them. Possibly because they have bigger fish to fry, or maybe because they are taking the completely reasonable position of looking the other way for now when it comes to safe, effective treatments that don’t seem to hurt the environment, users, or consumers. Perhaps they have an internal interpretation of the rules which allow their use in some cases. Maybe they just haven’t noticed yet. But I’m no expert so Caveat Emptor. *******Honey-Bee-Healthy Drench: one cup, 8 ozs (237 ml) of 1:1 Sugar Syrup with 4 tsp of HBH/qt (20 ml/l), applied 3 times, 7 days apart. We fed bees at the same time with 10 ml of HBH per liter of 1:1 sucrose syrup. Caution: Read this – it is NOT the usual yadda yadda! – Do not mix solution until right before you are ready to apply it. Because of a chemical reaction which takes place over the course of several days it will become poisonous to bees – use immediately and discard any unused solution by pouring it down a drain (and rinsing the container) so that neither bees or anything else can accidentally ingest it. This sweet solution is poisonous and should be kept securely out of the reach of children and pets! The treatment material is 3.2% oxalic acid in a 1:1 sugar solution. This will make 1.67 L of treatment material – enough for 33 colonies! Obviously, with a little bit of math it can be adjusted appropriately for your needs. Accurate measurement of ingredients is essential! Open the hive and remove supers if needed to get to the main cluster of bees. Fill the 50 ml syringe with solution (oxalic acid). Dribble solution on the seams of bees between the frames – distributing it as evenly as possible. The treatment will seem very scant and you will not wet all of the bees in most cases, but that is OK and as it is supposed to be. The bees will all work together to clean their selves, each other, and the other hive contents, and they will all get the correct oral dosage. The 50 ML dosage is the correct size for a 10 frame deep single box colony which is of a healthy strength – if the population is smaller than this the dosage will be too high and should be adjusted accordingly. This procedure usually takes less than a minute/hive. It is safe to carry out the treatment in cold conditions with the temperature down to 0°C. You can use warm water to make the mixture if it makes you feel better. It is advised that this is only done when colonies are broodless for best effect and that it not be repeated. I have a question, I have three hives and a neighbor of mine who lives a couple hundred yards away just notified me that bees are congregating (about a dozen or so at a time) around his pool filter which has developed a small leak and is trickling down. I’m assuming their congregating around the leak as they can probably get a drink and not have to worry about drowning. He’s asking me if there is anything that can be done, however he does have a pool guy coming out sometime soon to fix the leak which I’m hoping will solve the problem. Any ideas or have you had anyone with this issue in the past? For someone with up to 50 hives you can take out frames with capped brood from your hives to an empty hive, lets call it an “incubator”. When all of the brood hatches in the incubator put an open brood frame in.All of the mites will then move to the uncapped frame to procreate. Once this frame is capped you discard it leaving all of your hives mite releaved. You do this at the end of june start of august, and just the usual winter treatement with oxalic acid.